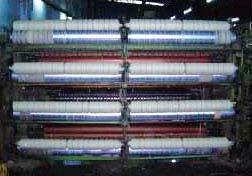 we are a renowned manufacturer, exporter & supplier of Woolen Yarns. we deal in the manufacture of all kinds of woolen yarns. Supported by in-house quality lab, we are able to control the quality of our woolen yarns to meet all the export related standards. We are also equipped with latest machinery, which enable us to produce 50 tons/month. Our woolen yarns come in huge variety and can be availed at market leading prices.